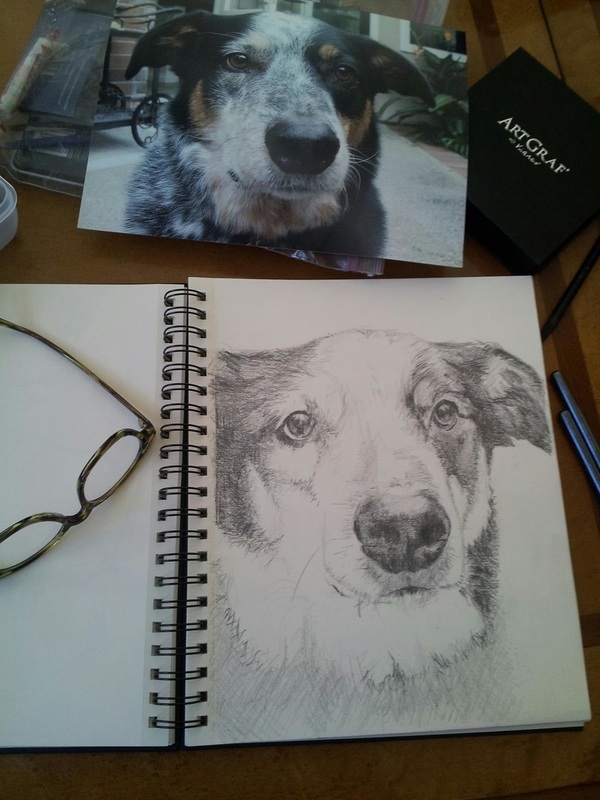 I always start my portraits with a sketch in pencil so I can get to know the lines and shapes of your pet's face. 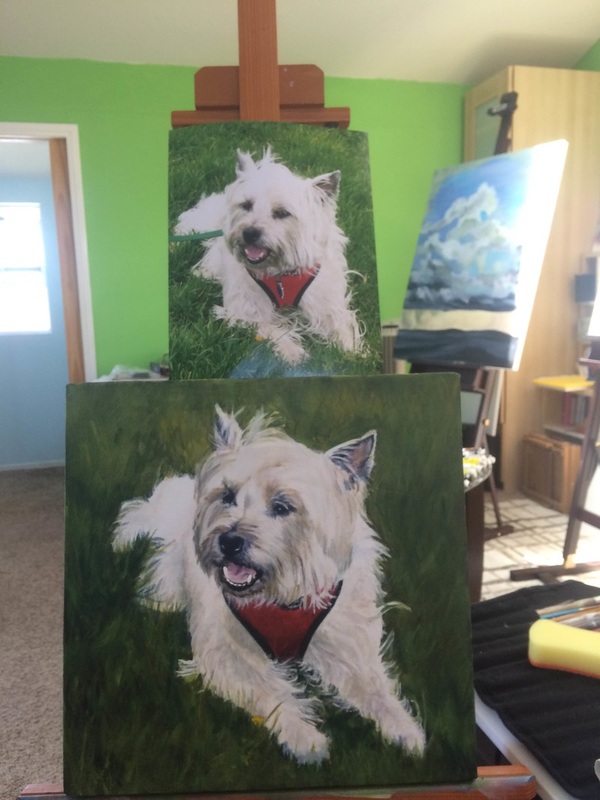 These won't be used for the painting, but tell me a little about your pet's personality so I feel a connection when I start to paint. I take my time with the painting. I like to have time not only to paint, but to gaze at the painting and the reference photo to play 'spot the difference' so I can see what problems need to be overcome during the process.